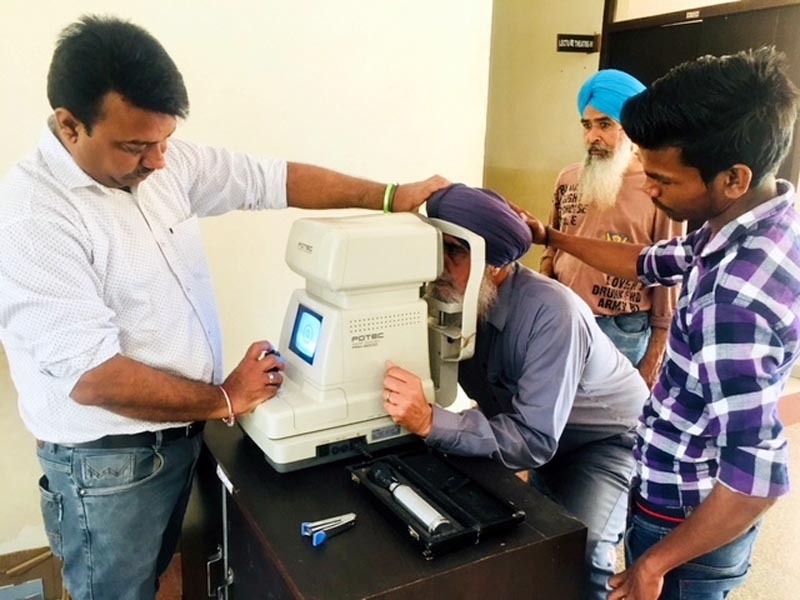 Ludhiana/Khanna, March 06, 2018 (Iqbal Happy): Gulzar Group of Institutes organized Free Eye Checkups and Neuropathy test with Bansal Eye care for its students, staff and faculty members. Tests like vision, colour Vision, Refractive index test, Retinoscopy, Neuropathy were done in order to check the health of the eye. Good health and good habits are very important factors for the students to get benefited from quality education and grow up as empowered individuals. Later, the Students were also oriented by the doctors how to protect eyes after the check-up programme.